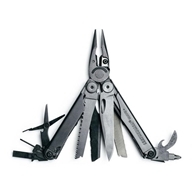 Christmas is just around the corner, and rather than rack your brain thinking of gift ideas that he might like, buy him something that he’s guaranteed to love, use and will stand the test of time – a Leatherman product. 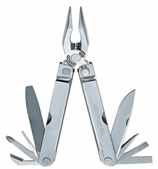 To mark the 35th Anniversary of the iconic tool brand, Leatherman have released a Limited Edition PST. 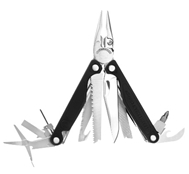 This Collector’s Edition Pocket Survival Tool is based on Tim Leatherman’s original design, is made of 100% stainless steel and has 14 tools in one including: Needlenose Pliers, Regular Pliers, Wire Cutters, Hard-wire Cutters, 420HC Knife, Wood/Metal File, Phillips Screwdriver, Large Screwdriver, Medium Screwdriver, Small Screwdriver, Awl, Ruler, Can Opener and Bottle Opener. Each PST is stamped with Tim Leatherman’s signature and comes with an American-made leather sheath, emblazoned with a diagonal wordmark in gold foil. 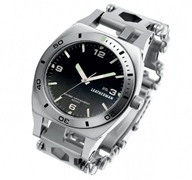 RRP $359.